This ex-demo item do not include battery. 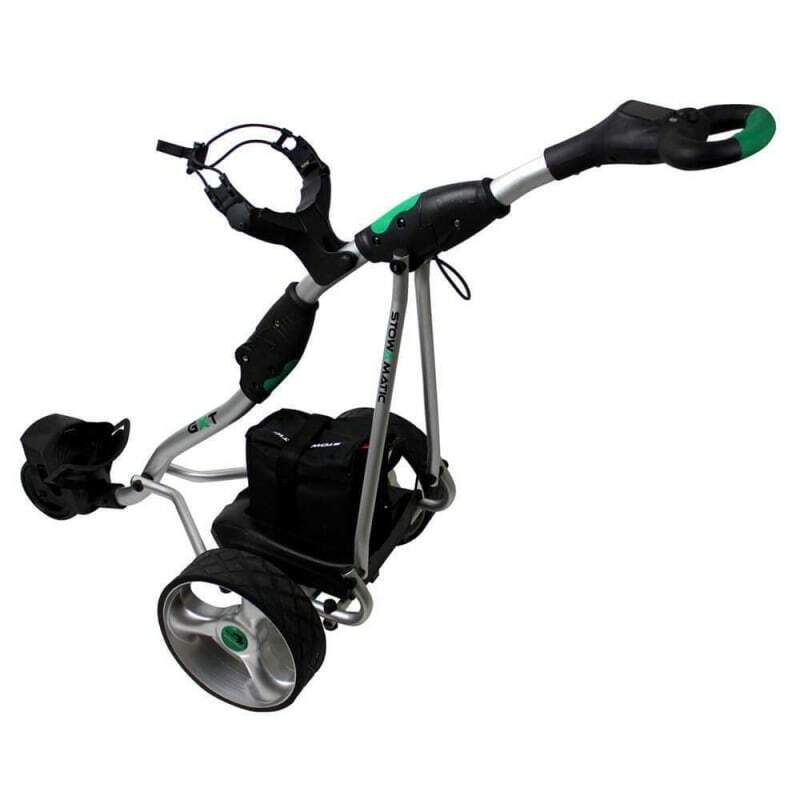 This electric trolley from Stowamatic is simply the best value trolley on the market today. With a heavy hitting 36 hole battery powering a punchy 180w motor, the trademark folding frame for easy transportation and storage, and upgraded internal components for improved reliabity and durability, the trolley itself will not disappoint. Plus, the GXT model also includes a Stowamatic accessory pack, consisting of a carry bag, a rain cover, an umbrella holder, a scorecard holder and a drinks holder - that's over £50 of accessories included at no extra charge! All Stowamatic electric trolleys come with a 12 month warranty - but a warranty is only as good as the company behind it. As one of Europe's largest online golf retailers, we've got a dedicated service centre with specialist technicians to take great care of your trolley, and get it back out on the course as quickly as possible. We carry a large number of spare parts, so even if in the unlikely event of your trolley developing a fault after the 12 month warranty, you won't be left high and dry.